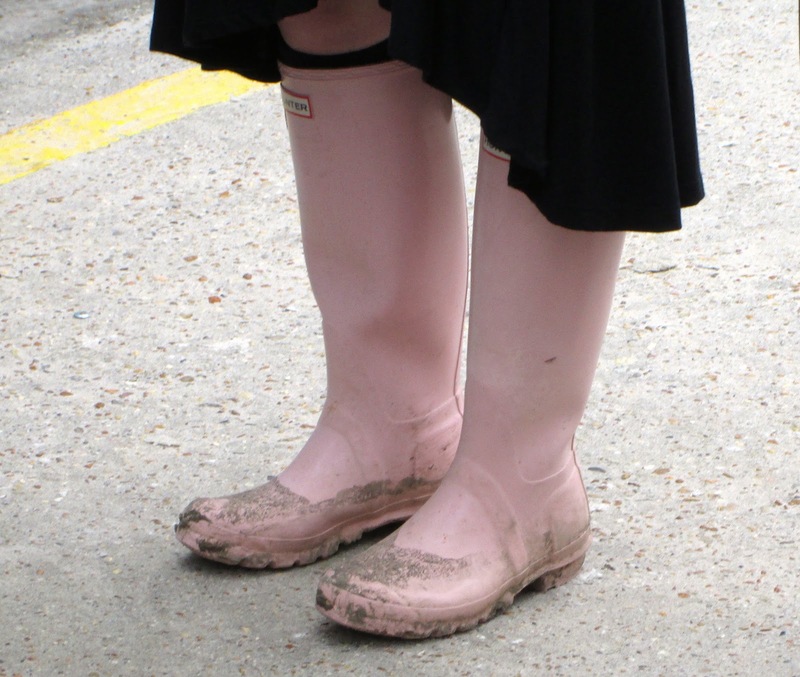 "Aww, Babygirl," the young man said sorrowfully, looking at my new sneakers sunk in muck, "you should have bought some boots." 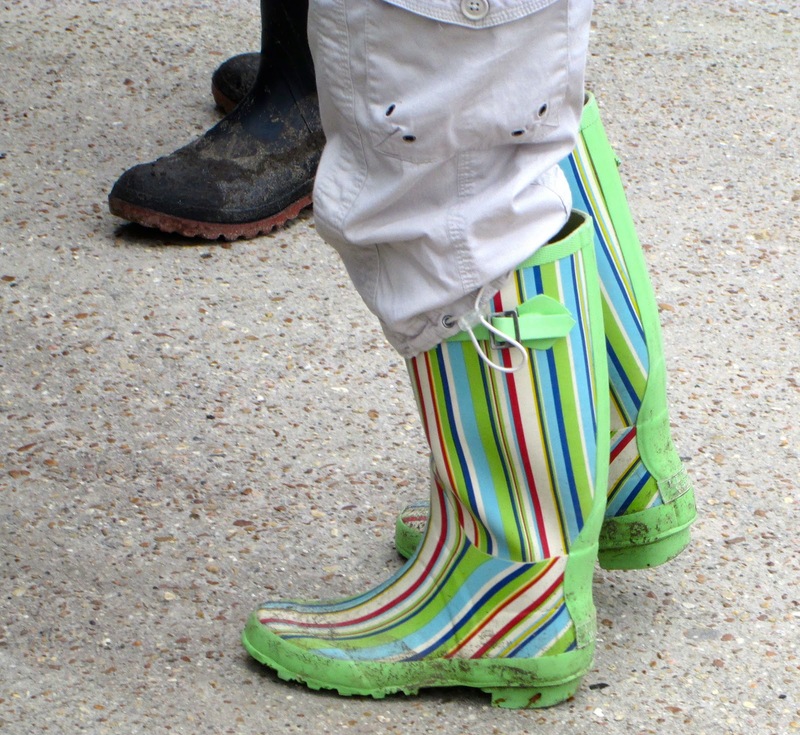 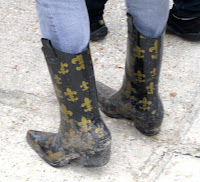 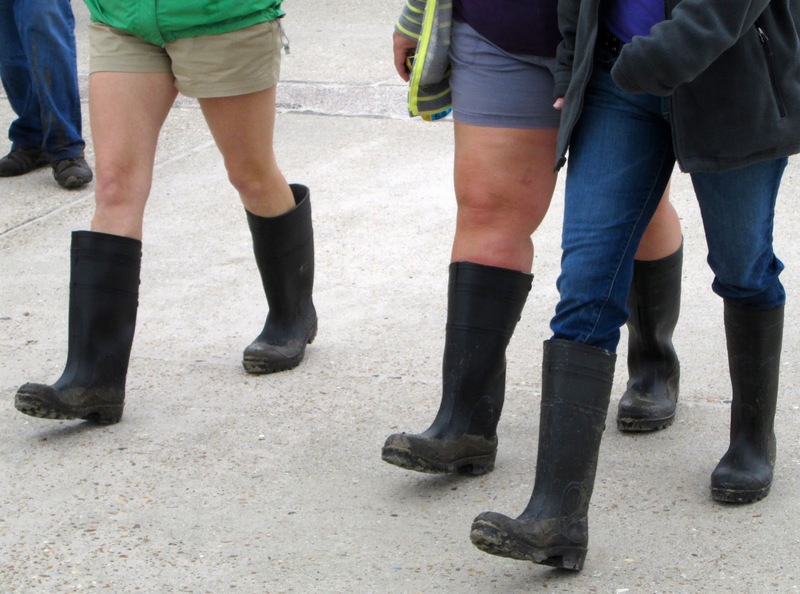 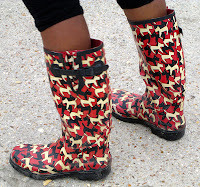 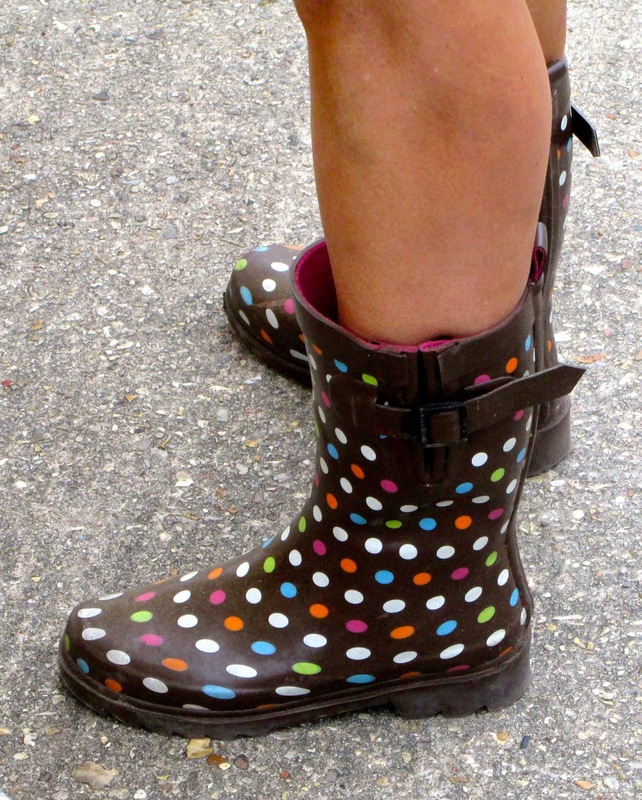 When we lived in New Orleans, a rainy day at the New Orleans Jazz and Heritage Festival meant that people got muddy. 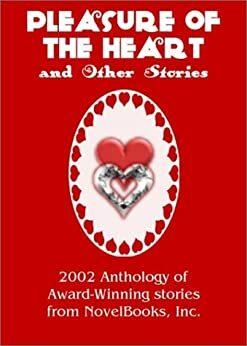 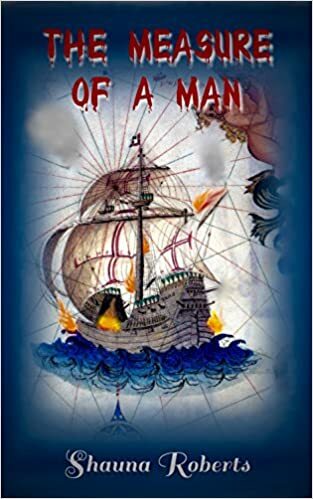 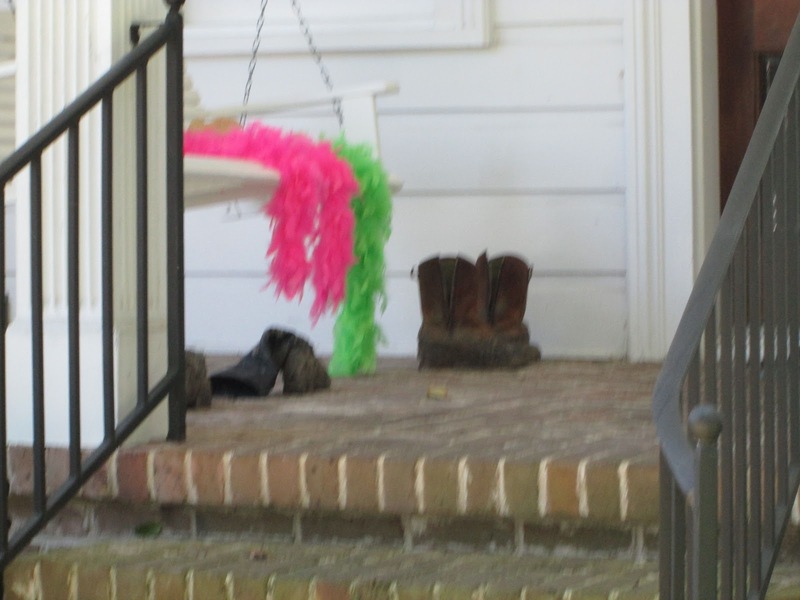 Many went barefoot or wore shoes they threw away afterward. 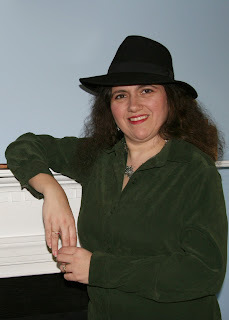 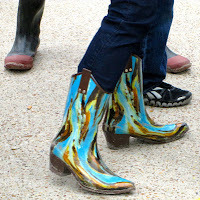 This year, back home for six weeks of my husband's sabbatical, we discovered that boots were the practical and popular new choice—rain boots, gardening boots, shrimp boots, riding boots, hiking boots, even cowboy boots, anything that let people have a good time anywhere, no matter how deep the mud or water. Stores, I discovered later, had ordered boots, lots of boots, when the forecast for JazzFest predicted rain, and people bought them out. 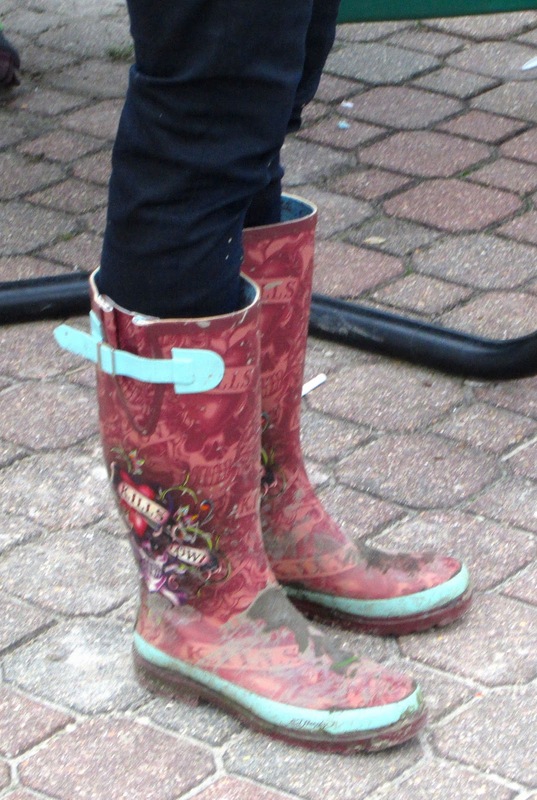 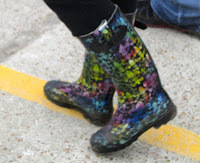 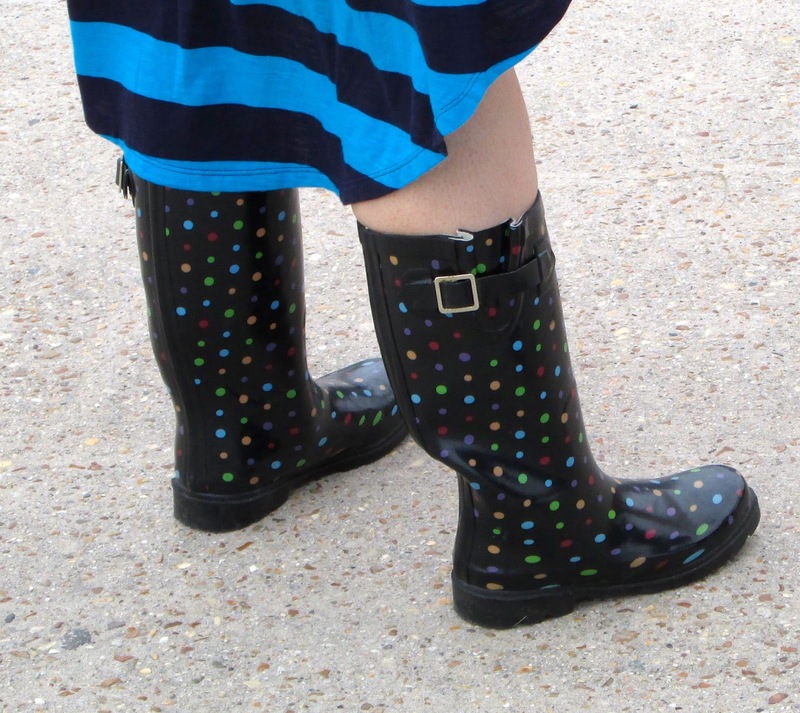 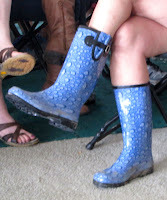 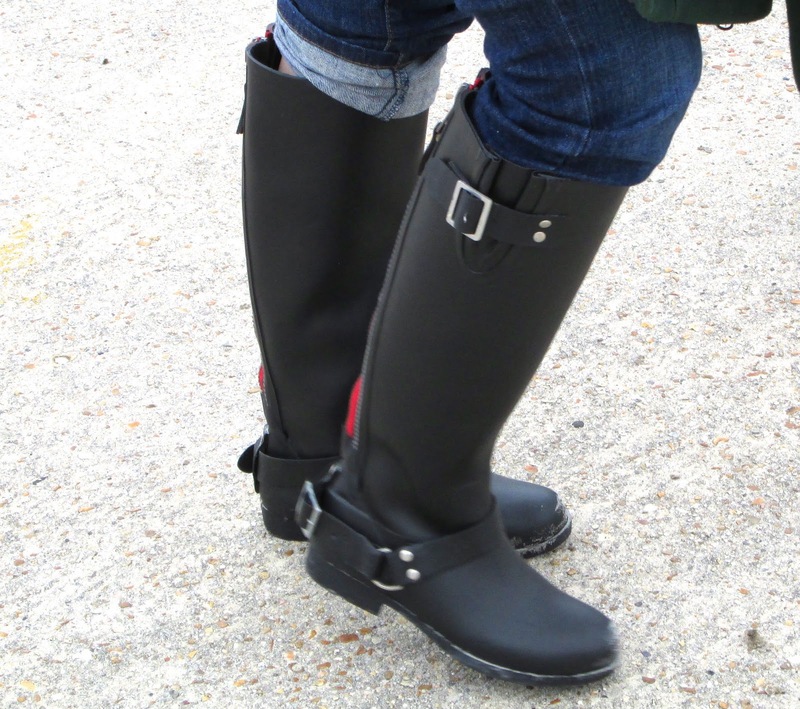 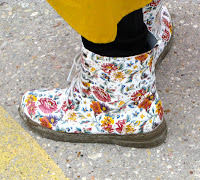 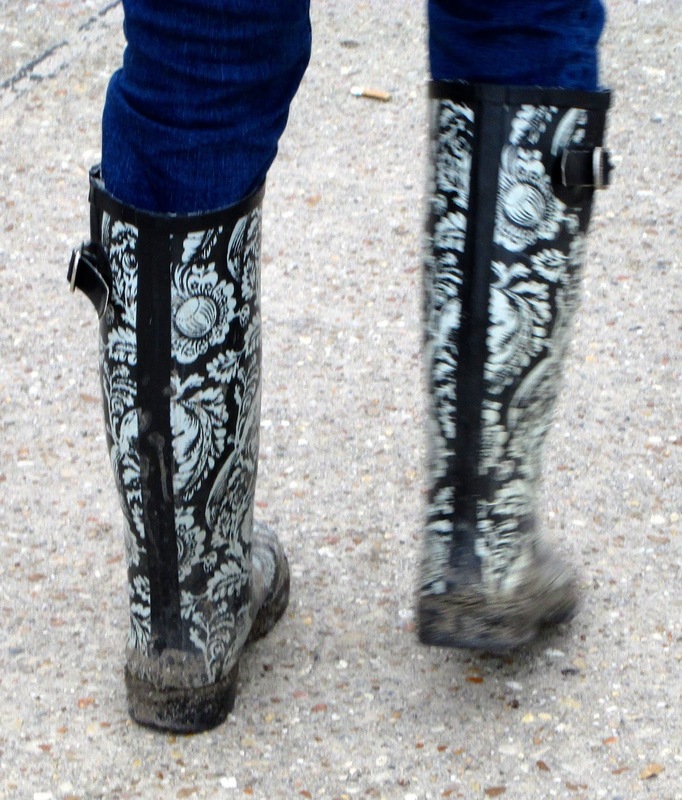 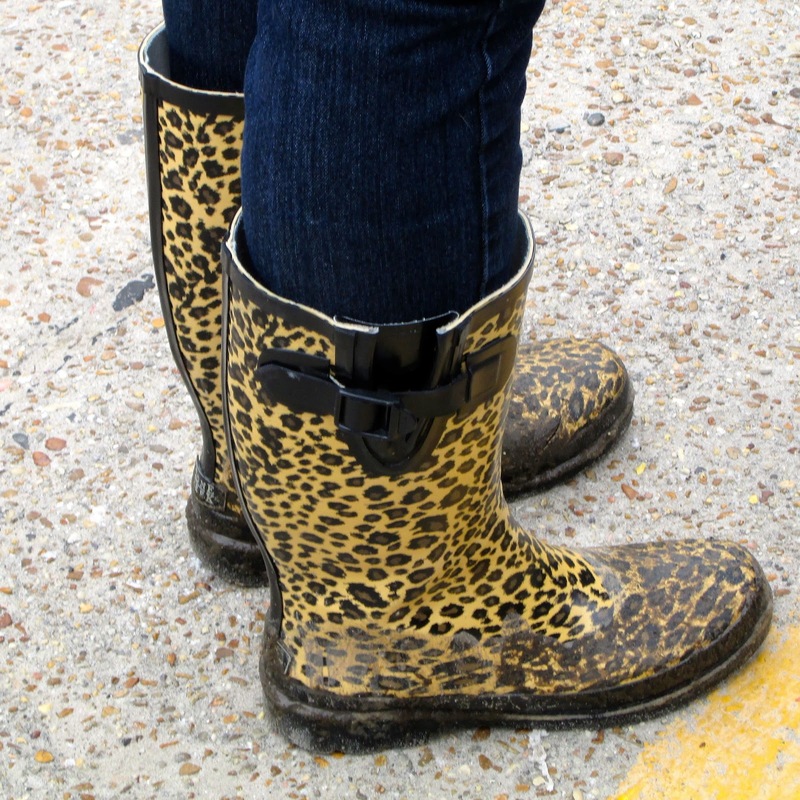 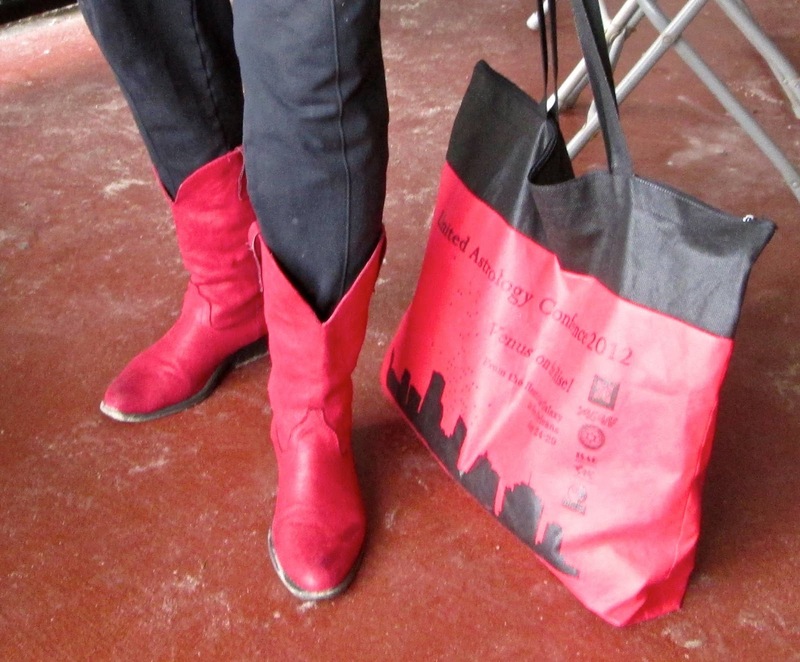 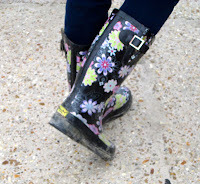 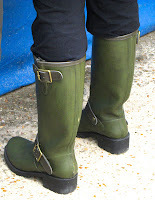 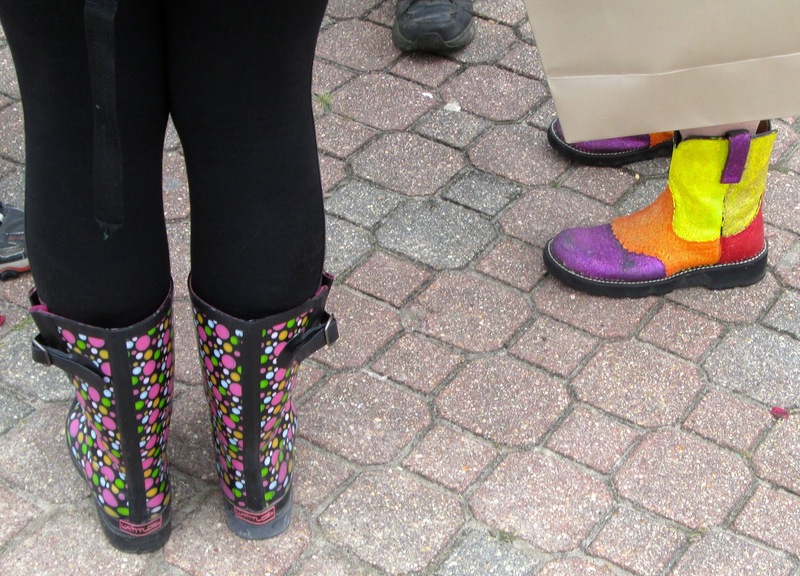 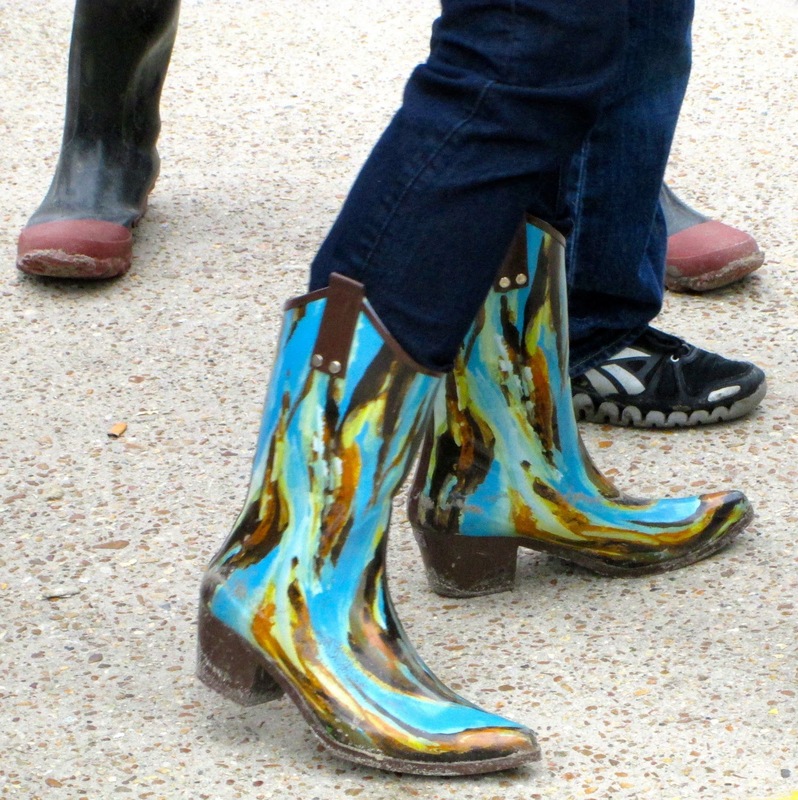 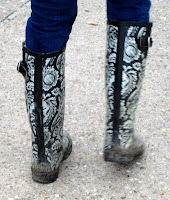 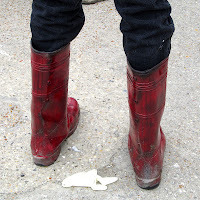 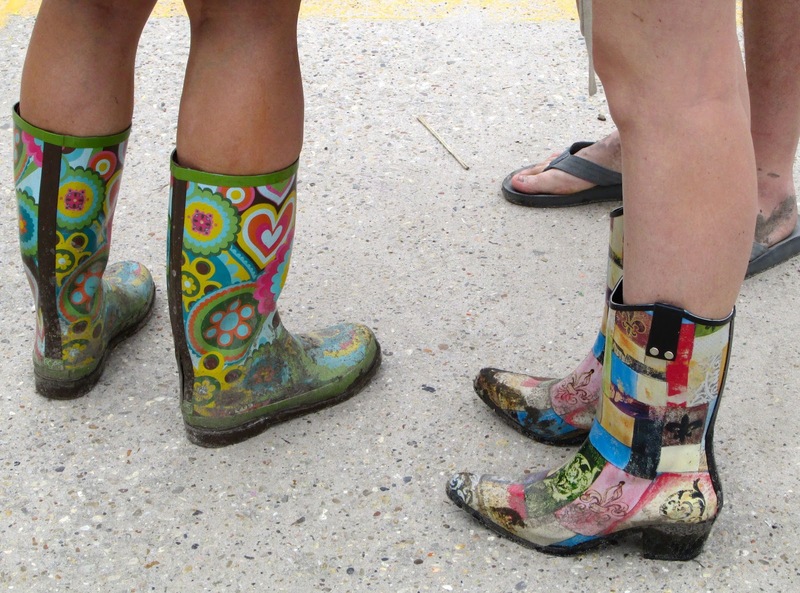 Following are some photographs of just a few of the boots I saw at JazzFest. 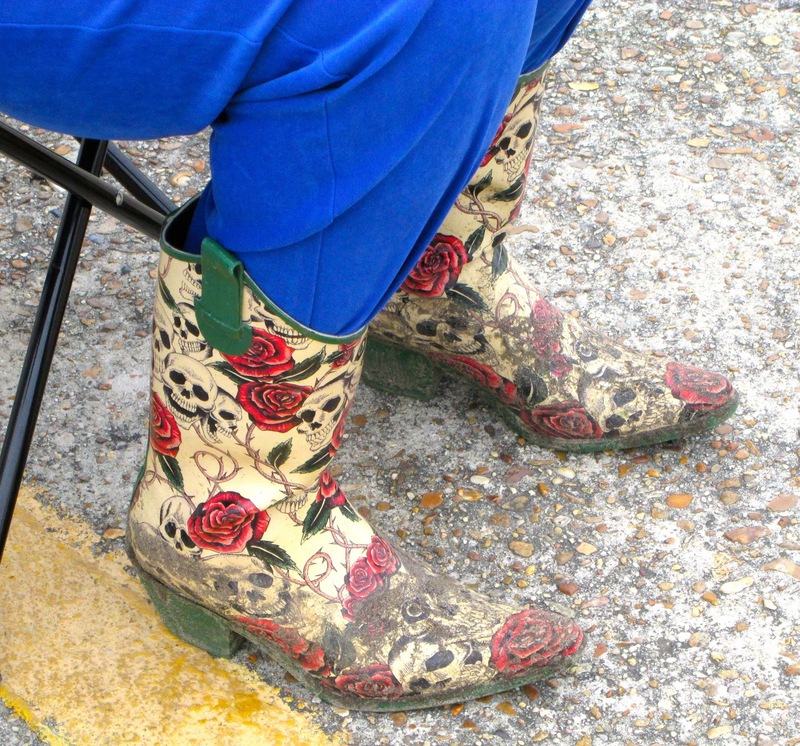 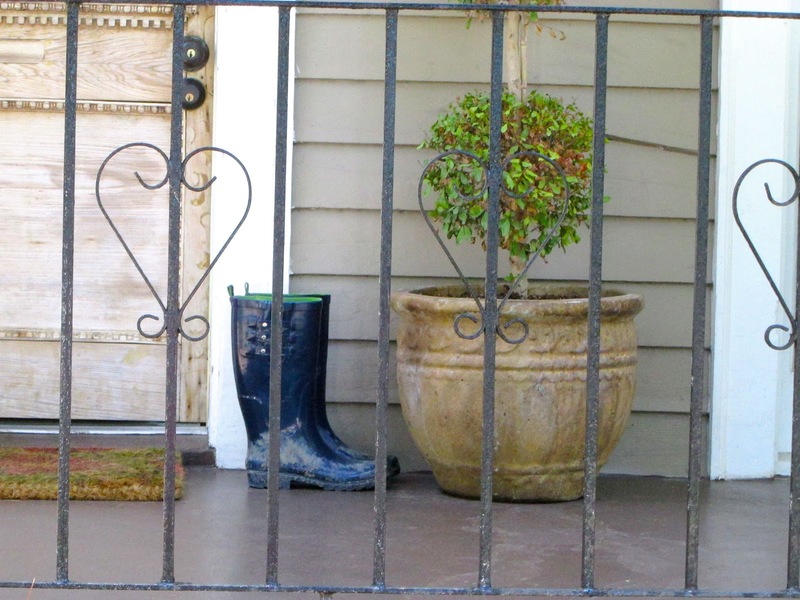 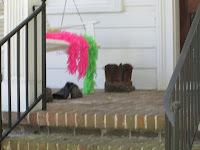 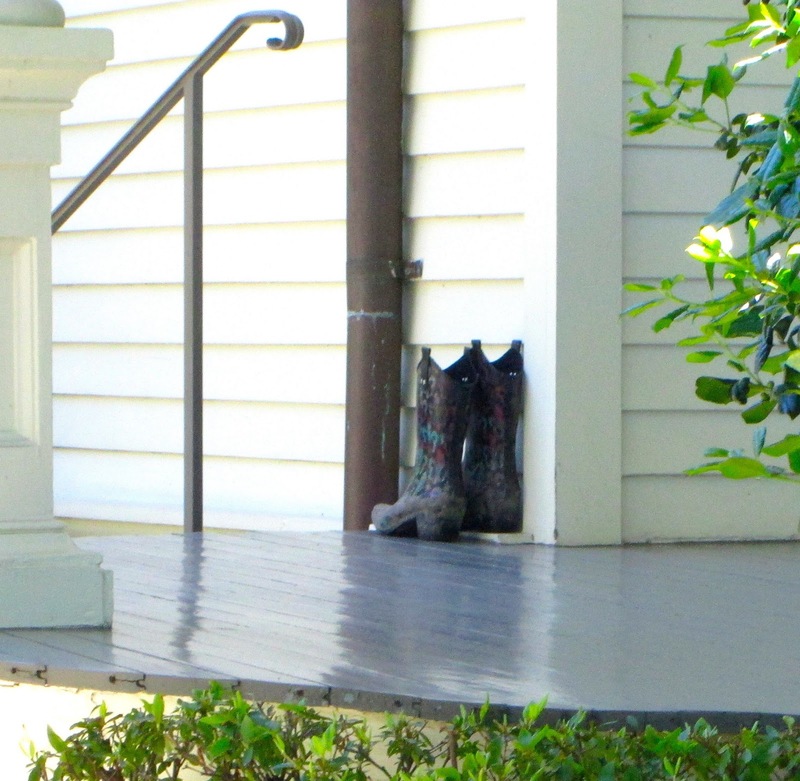 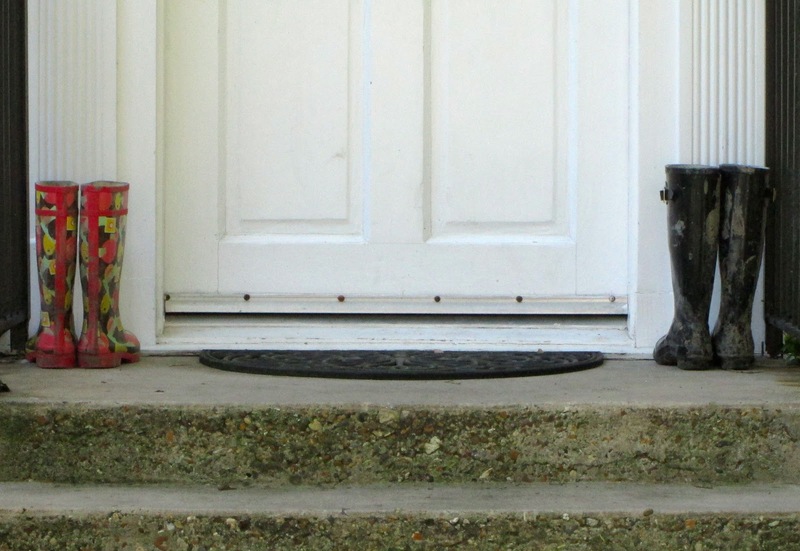 The week after JazzFest ended, many porches held boots that had not yet been cleaned of their mud.